Once a land soaked in blood and tears, sucked in the superstition of witchery, absence of the provision of formal education, violence of insurgency and fear for the unfamiliar, Udalguri region of Assam became the chosen battleground for Harekrishna Mahanta, when he came here from Barpeta at the age of fifteen. The silent, secluded and stubborn battle he fought in befriending and transforming the people and the place, inspired by the philanthropic ideals of the 16th century saint-reformer Sankardev, remains as an eloquent criticism of the divisive views and politics of our time. Armed with a heart capable of disarming humility and unconditional love for the people, a heart molded in the teaching and ideals of Srimanta Sankardev, he began by setting up a Satra from which his philanthropic principles and works radiated, and the region, slowly, but steadily, began to echo the songs he sang as a prayer. He also set up a school beside the Satra, introduced untapped economic resources to the people, and he did all these in the face of violence and mistrust. This 95-year-old Satradhikar, who, in the twilight of his life, still insists on walking on his own, is single-handedly carrying the care and concern of the place and the people. 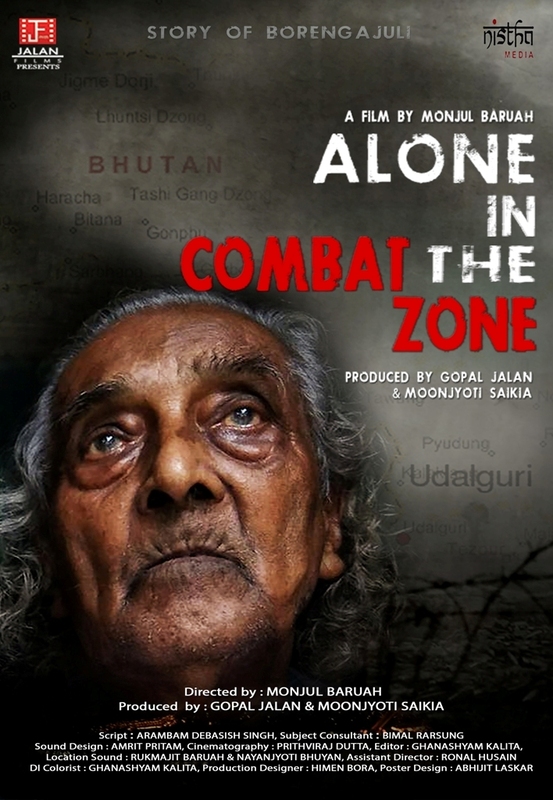 A new documentary - ‘Alone in the Combat Zone’, that shines light on the noble causes of this tireless Satradhikar of Udalguri’s Borengajuli Satra, is now being made, which is directed by Monjul Baruah of ‘Kaaneen’ fame, and produced by Gopal Jalan and cultural-activist Moonjyoti Saikia under the banner of ‘Jalan Films’ and ‘Nistha Media’, respectively. 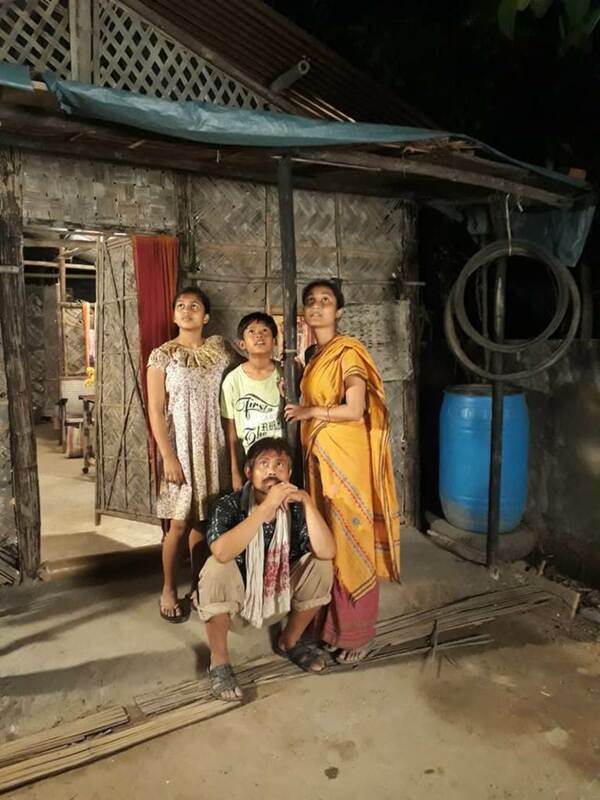 Gopal Jalan had earlier produced the short film ‘Liakat’, which was screened at several film festivals, besides bagging the Best Short Film and Best Director awards at the 7th Assam State Film Awards 2018. 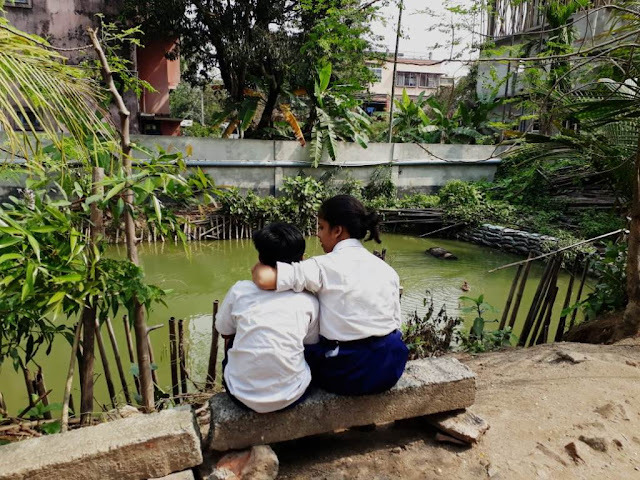 ‘Alone in the Combat Zone’s script and subtitle is penned by Arambam Debasish Singh, sound designed by Amrit Pritam, editor and DI is Ghanashyam Kalita, cameraman is Prithviraj Dutta, location sound by Rukmajit Baruah and Nayanjyoti Bhuyan, light by Bolen Boro, Pranjit Haloi and Pulak Nath, assistant director is Ronald Husain and production designer is Himen Borah. 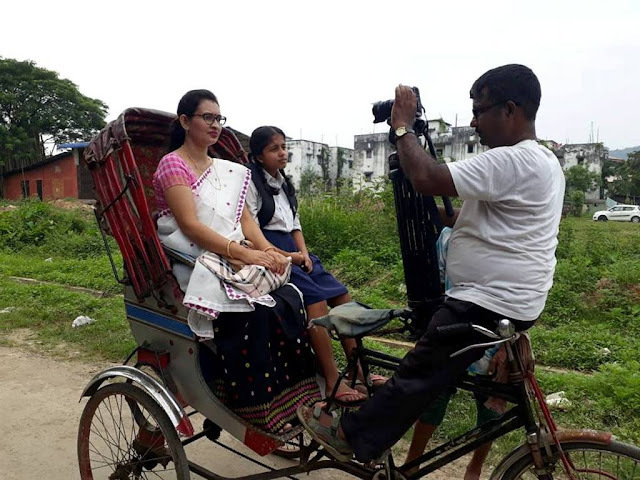 As informed by Gopal Jalan, the documentary will be premiered on April 21, which will be attended by Harekrishna Mahanta himself among other well-known figures. He also added that the movie has already been sent to various film festivals. 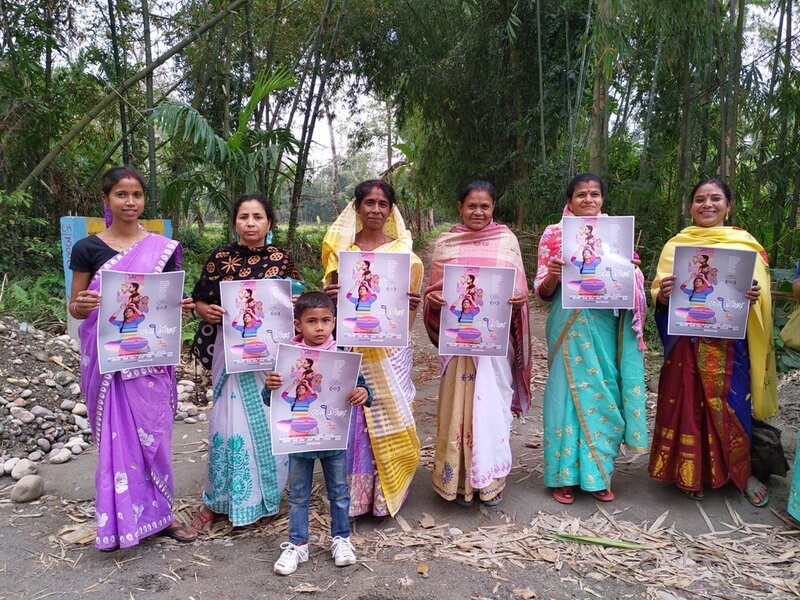 Amidst the Holi celebrations on March 22, the crew members of the upcoming Assamese feature film ‘Bornodi Bhotiai’ released the film’s official poster at the hands of the common people of Majuli. Based on the lived experiences of the director Anupam Kaushik Borah, this film is a commentary on the hopes and aspirations of the commoners that inhabit the island - an island long viewed only through the lenses that focuss on its cultural and communal diversity. 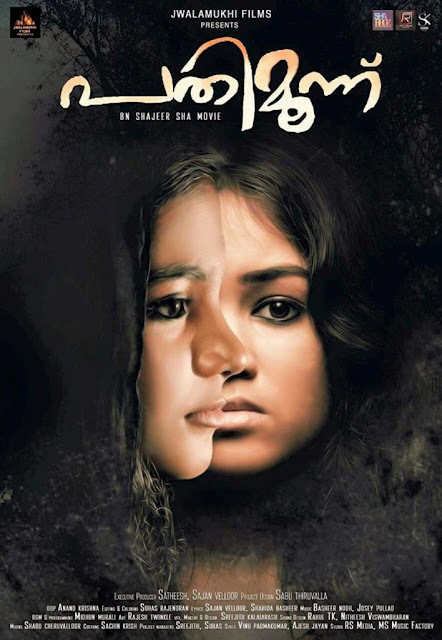 “This film would not have been possible with the generous help of the Majulials at every stage of the production process, and so it is only right that the first official poster be released at the hands of the Majulials, instead of celebrities,” director Anupam Kaushik Borah said. 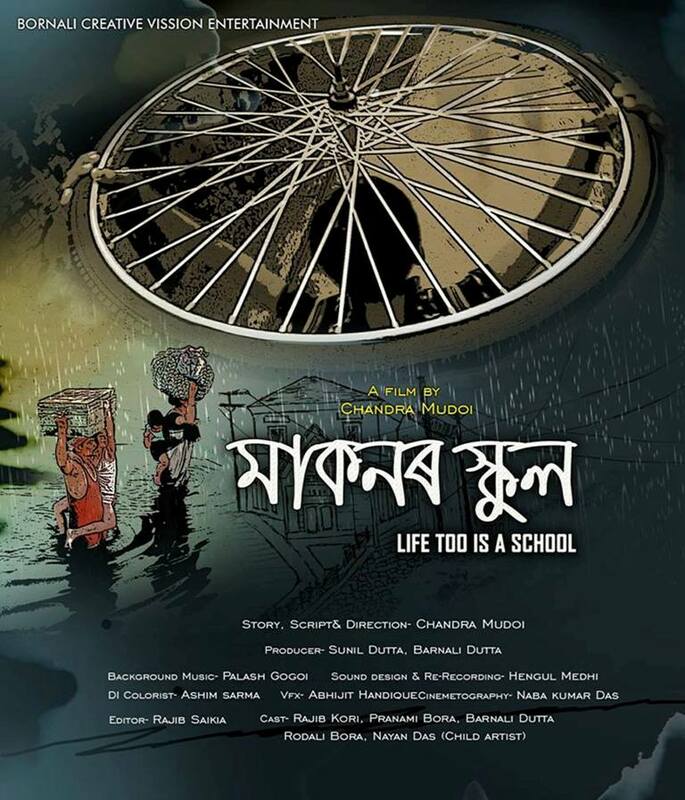 In an unprecedented incident, the poster release of this film took place in ferries, Satras, shops and streets of Majuli. Mask-maker and Sangeet Natak Academi awardee Hemchandra Goswami and the Deputy Commissioner of Majuli District, Deba Prasad Mishra, spoke at one of these events. Proud and jubilant Majulials across the island enthusiastically help up the poster, high in anticipation of the upcoming release. 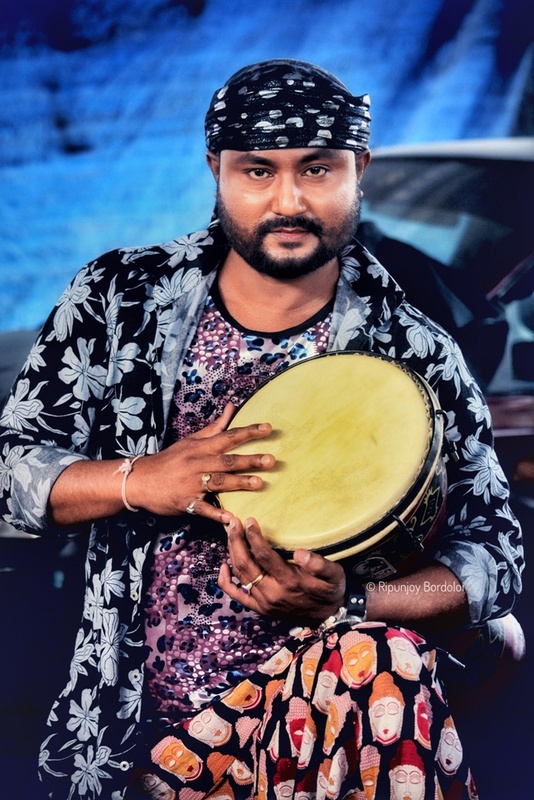 ‘Bornodi Bhotiai’ is slated for release on May 3, 2019. It is worth mentioning that the release date was announced through a creative video that has drawn accolades throughout the state and has led to people appreciating the innovative marketing strategies of the film. The official poster was also simultaneously released in Barpeta amidst the famed Doul-Utsav celebrations of the district. Here, too, the poster release was done by people amidst much excitement for the film’s upcoming release. ‘Bornodi Bhotiai’ premiered at the prestigious ‘Jio MAMI Mumbai Film Festival’ last year and is the directorial debut of NSD graduate and theatre practitioner Anupam Kaushik Borah. The key roles in the film, written, directed and produced by Anupam Kaushik Borah under the banner of Bhawariya the T Positives, have been essayed by Dorothie Bharadwaj, Anupam Kaushik Borah, Kenny D Basumatary, Sonmoni Sharma, Kaushik Nath, Himanshu Gogoi, Rajib Nath, Manisha Bhuyan, Diganta Konwar, among others. The music has been scored by Tarali Sarma, cinematography by Prayash Sharma Tamuly, edited by Rantu Chetia, sound designed by Debajit Gayan, Arindam Das as Di Colorist, executive producer is Stuti Jyotshna Saikia, and chief assistant directors are Himangshu Nath and Arindom Kashyap. 12-year-old Fariya Hussain from Dibrugarh is all set to star as the protagonist in Malayalam movie, Pathimoonnu (Thirteen). The film is slated to release sometime in April of 2019 and has been written and directed by the acclaimed director, BN Shajeer Sha and has been produced by Satheesh Sajan of Vellore. A student of class VI at the Christ Nagar Senior Secondary School in Thiruvananthapuram, Fariya has already acted in a number of advertisement films before this and has been featured in a music video called, ‘Let girls remain girls’ - a musical visual initiative by Go Figure Humanity in support of the International Day of the Girl Child by the United Nations and also in the Beti Bachao Beti Padhao campaign by the Government of India. 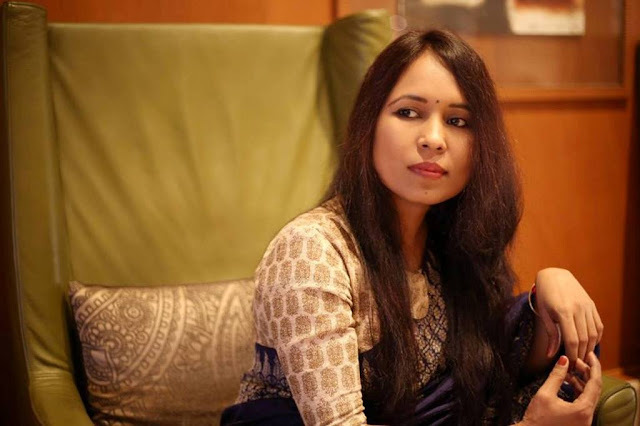 Born to Farhan and Farmin Hussein in Dibrugarh, Fariya lives in Thiruvananthapuram, Kerala, with her parents, where her father manages a flourishing business, dealing in the finest of the Assam tea along with Kerala’s natural spices and cosmetics. A talented teenager, Fariya’s hobbies include listening to music, swimming and travelling. She also hopes to pursue a career in space engineering besides acting. 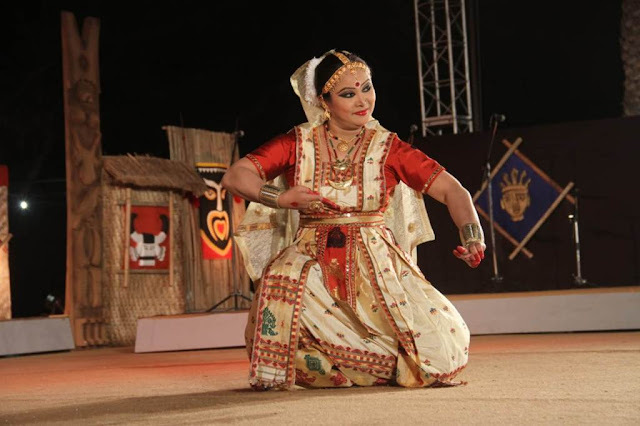 A festival of North Eastern States of India – OCTAVE 2019, organised by the North Zone Cultural Centre (NZCC), Patiala, under the Ministry of Culture, Govt. of India, successfully concluded in Jaipur in Rajasthan from March 26 to 30. 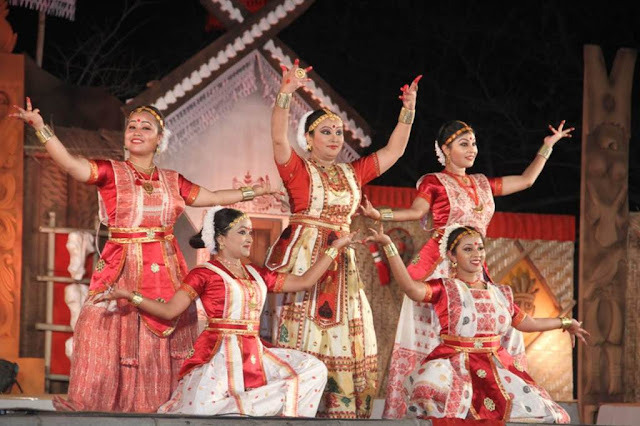 A accomplished dancer who has been playing an important role in promoting Sattriya dance in the country and elsewhere, Dr Anjana Moyee Saikia, and her group comprising of Mridusmita Dutta Sonica Hazarika, Barasha Bordoloi and Prakriti Sarma, presented a scintillating Sattriya dance on the concluding day of the event. The other artistes who accompanied the dancers were Hari Prasad Saikia, Gautam Bayan, Nabajit Saikia, Ripu Borah, Biswajit Bordoloi. A disciple of guru Padmashree, Bayanacharya Ghanakanta Bora, Anjana Moyee Saikia performed a series of recitals, starting off with an invocation to Lord Krishna, followed by the expressive aspect of the form – abhinaya, with her group. It was a visual treat for the audiences, who thoroughly enjoyed the brilliance and the distinctive style of Sattriya dance and its music, in addition to its costumes, at the Jawahar Kala Kendra - a multi arts centre, in Jaipur. The presentation reflected the vital elements of Sattriya based on live music, performed in both male as well as female forms. It was an unique and a rare experience for the audiences to witness such an unique form of dance. The presentation by other dance forms of the North Eastern States like Manipur, Tripura, Assam, Meghalaya, Arunachal Pradesh, Sikkim, Nagaland and Mizoram also mesmerised the huge crowd and art enthusiasts. A die-hard music lover. The magic of music keeps him infinitely pre-occupied. He has explored his creativity in various art forms, having worked across the fields of film, mobile theatre, album and television, much to the envy of his peers. 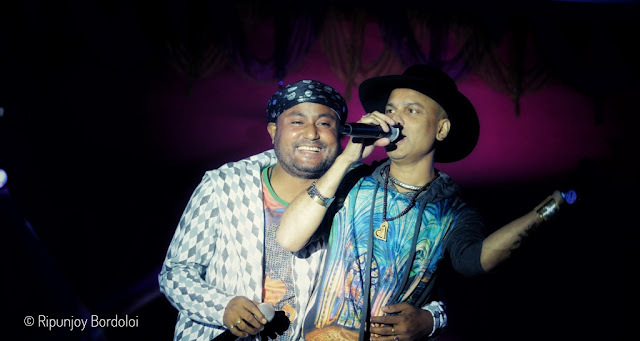 A much loved and versatile singer of his generation, he is none other than Babu Baruah or Babu as he is popularly known. Hooked to music ever since he was a child, Babu, who made his singing debut with the album ‘Geet’, made mainstream waves with his next solo album ‘Rowd’, which featured a number of chartbusters, including the delightful ‘Rowd ulal bhaniti chaku chate mari dhare’. Thereafter, a majority of his songs from his successive albums like ‘Shanti’, ‘Babur Biya’, ‘Dhuli’, ‘Phool’, ‘Ajolitora’, among others, became major hits. In 2008, NK Production’s ‘Lakhimi’, which featured Babu’s renditions, became a huge hit. Thereafter, his renditions in NK albums like ‘Achinaki Mon’, ‘Priya Milan’, ‘Mon’, among others, have permeated the public consciousness. His effortless renditions have stirred deep and authentic emotions with the audiences. Some of his most popular songs include ‘Pedel mari mari’ from the album ‘Babur Gaan’, ‘Rukmini’, ‘O chenai mai’, the duet with Zubeen Garg – ‘Barikhare Baanot’, the Goalparia tune ‘Mao Kande’, ‘O Najitora’ - a duet with Priyanka Bharali, etc. There have been others too, like ‘Laden asil polai’, ‘Nahar’, ‘Bohona’, ‘Vande Mataram’, ‘Thikona’, ‘Ghur Kojola ghur’, ‘Sakori bisari’ rendered with the visually impaired Mantu Ali, ‘Hatori’, the Hindi song ‘Jiya jayena’, ‘Rosona’, etc, which have received appreciation of the listeners. 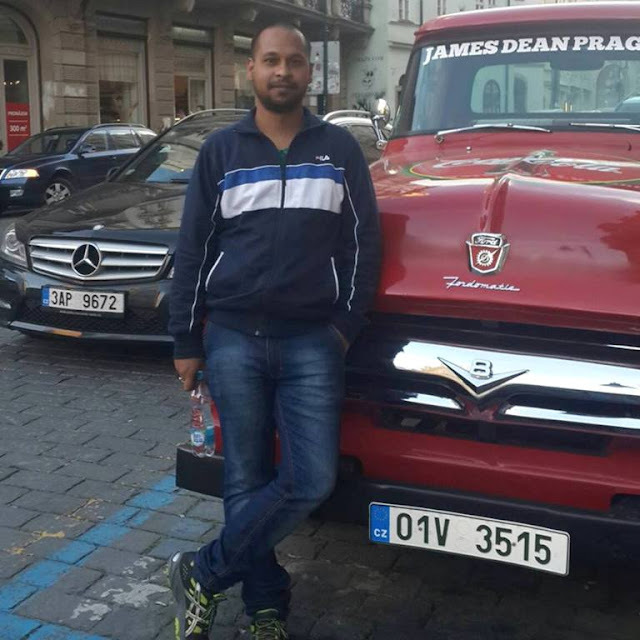 His childhood friends like Chandan, Bhagawan, Dipson and Balen have been an invaluable guide and a constant source of inspiration in his musical journey. Babu, who has been distributing relief materials to the flood affected people and offering donations to the poor and needy students over the years, has recently taken the initiative of providing free medicines to poor patients through his group - ‘Its Possible – Save a Life’. On invitation from the Indira Gandhi National Centre for the Arts (IGNCA), a leading government-funded arts organisation under the Ministry of Culture, a puppet play – ‘The Life of Mahatma Gandhi’, presented by the Guwahati-based cultural institute Surojit Academy, was performed in a three day event - 'Divya Prakriti Parva', which was held in Delhi, from March 6 to 8, 2019, to mark the International Women’s Day. The play, directed by Binita Devi, narrated various events and episodes from the childhood days of Mahatma Gandhi to India’s independence. The puppets in the play, adapted to Hindi by Niharendra Sarma, were brought alive through the dexterous use of rod puppets, shadow puppets and glove puppets. The event, held under Nari Samvaad Prakalp, showcased varied programmes, including special lectures, workshops, academic panel discussions, exhibitions, among others, where a number of students from universities and colleges, researchers, professors, artistes, litterateurs, among others, from Delhi and its neighbouring states, attended. Dedicated to the Father of the Nation and his devoted wife, Kasturba Gandhi, ‘The Life of Mahatma Gandhi’, showcased on the opening day of the event, regaled the audiences, who were intrigued by the depth and the intricacy of the puppeteers, led from the front by Binita Devi, who has contributed much to the creativity and lively productions of her institute Surajit Academy. It has always been the primary objective of her cultural institution to promote and create awareness of this vanishing art form. A Junior Fellowship awardee from the Ministry of Culture, New Delhi, Binita Devi has been imparting training in glove puppetry to a number of pupils from all over the State. The voices to various roles in the play were rendered by Hardik Sarma, Binita Devi, Swapan Das, Rajib Kalita and Niharendra Sarma. 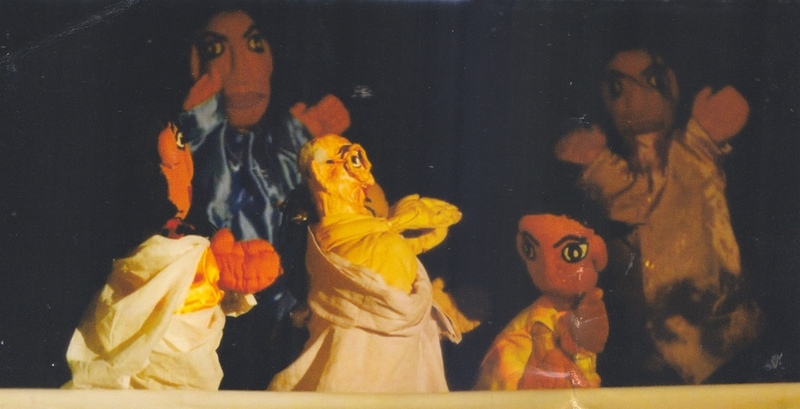 The puppets were manipulated by Hardik Sarma, Simanta Sarma, Binita Devi, Hridayjyoti Das, Dhrubajyoti Das, Anita Devi, Gitima Das and Manomati Boro. 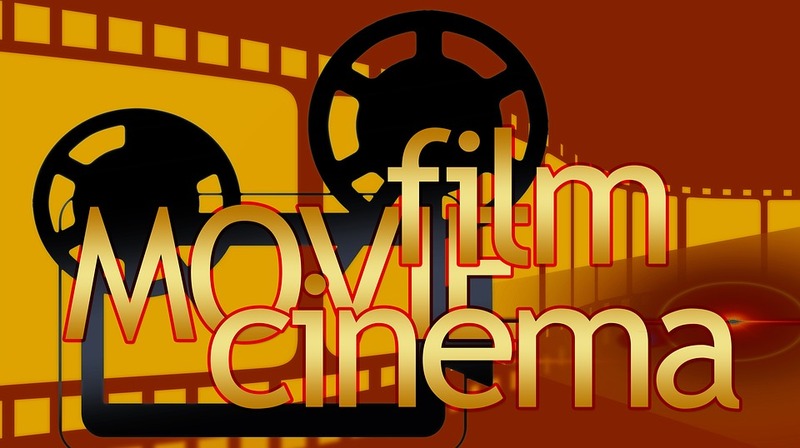 Two budding talents from Assam, one, a skilled script writer and another, a promising child actor, have made their dazzling mark in Bollywood and the Sri Lankan film industry respectively. Suman Adhikary, who hails from Barpeta district, has scripted the dialogues for the recently released Bollywood action-thriller ‘Junglee’, which stars Vidyut Jammwal, and has been directed by American filmmaker Chuck Russell. Another gifted prodigy from the state is the 8-year-old Orgha Goswami, who has recently acted in an award-winning Sri Lankan film ‘Asandhimitta’. Orgha, who has been modeling since the age of 3, has also featured in a number of advertising films, including big brands like Spencer’s, Khadim’s, Khazana and Story. Daughter of Himanka Goswami and Geetanjali Goswami, who hail from Assam, Orgha currently resides in Colombo along with her parents. Rima Das joins Toronto International Film Festival's ‘Share Her Journey’ as their official ambassador. TIFF launched the campaign, a five-year commitment to increasing participation, skills, and opportunities for women behind and in front of the camera. It started in 2017 to prioritize gender parity with a focus on mentor-ship, skills development, media literacy, and activity for young people. "TIFF is delighted to welcome Rima on board as an Ambassador for our Share Her Journey campaign. Her remarkable body of work and passion for championing equality makes her an excellent choice to help us support women in film and move the dial towards gender equity throughout the industry," says Cameron Bailey, Artistic Director and Co-Head of TIFF. The woman behind 'Village Rockstars', India's official entry to the Oscars 2019, would like to see more and more women in the industry break the glass ceiling. 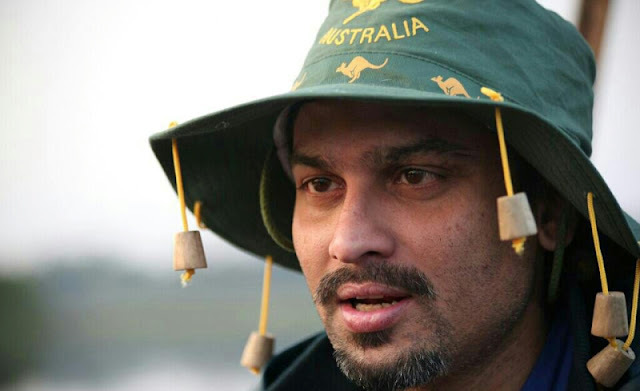 “It's a huge honour to be a ‘Share Her Journey’ Ambassador. Through this platform, I would like to bring together voices of people of all genders and collaborate to champion the cause of equality,” she said. With her entry as the ambassador, Das has joined the likes of writer-director Amma Asante, writer-director Molly McGlynn, actor Ellen Wong, actor-producer Jennifer Podemski and writer-director Joyce Wong as an ambassador. The other ambassadors from India include Mira Nair, Deepa Mehta and Priyanka Chopra.